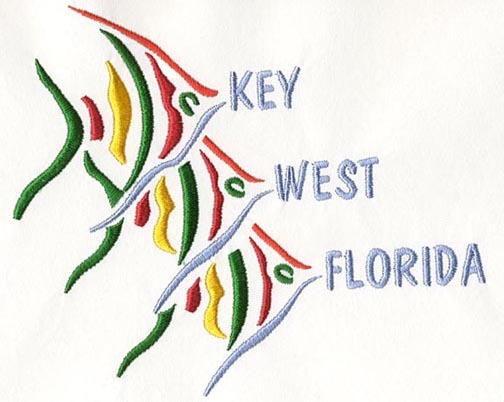 One of the most creative ways to show your company identity, announce an event or remind friends and colleges of a certain occasion or date, is using custom embroidery. 1. How do I show you what I want on the towels? Easy, you send us an e-mail with your logo if its in color, or you can fax us your logo if it is in one color and not that detailed ( Eg. words, or just letters). 2. Is there a set up fee, or start up fee involved ? We do not charge a set up fee. If we have the design that you want on the towels in our 17,000 design data base then we do not charge for it. If this is a custom logo that we do not have on our system, there is a one time digitizing fee, from 45.00-75.00 depends on the size and detail. If you ever need a re-run of the same towels, you will not have this charge, since we have it on file. 3. How big will the embroidery be ? 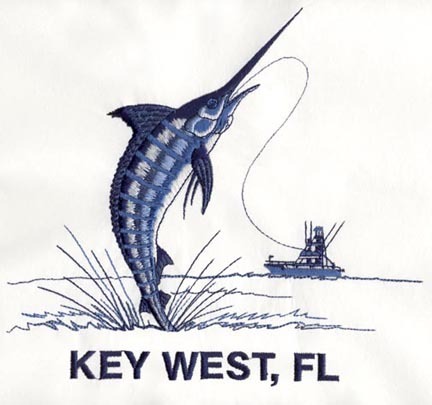 When we do custom embroidery we usually refer to the terms Pocket size and Full Chest design. A pocket size design is usually what you see mostly on the popular Polo shirts. We tend to put a pocket design on washcloths, and hand towels. A full chest design is usually 7"-8" wide and the height is proportional to the width. 4. How many colors am I limited to ? We usually tend not to go over 3 colors. 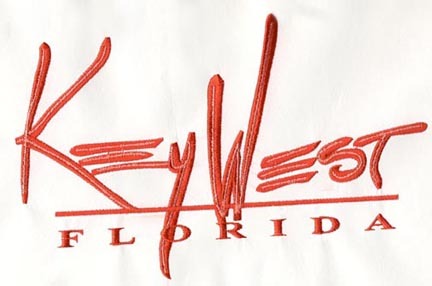 It takes more time to do the logo for each towel therefore making the embroidery more expensive. We usually set our normal limits at 3 colors, but 4 or 5 colors can be done as well. 5. Where will the print be on the towel? 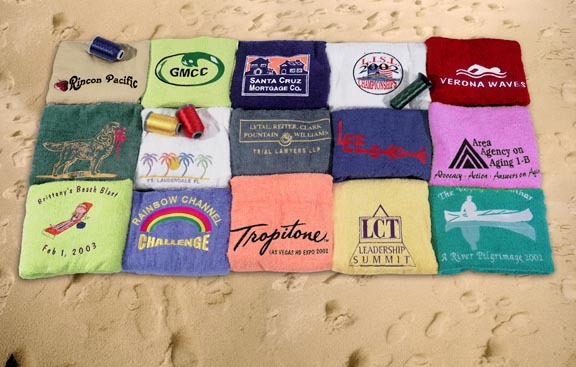 We usually print the logo or design on the bottom center of the towel, showing the design while the towel is hang to dry, or when someone lays down on it. 6. How long does it take to get the embroidery done ? It usually takes not more than 7 business days to complete the job. We do have a rush service at an extra charge where we can do a job within one day. 7. Do I get to see what the towel or embroidery will look like before I receive the towels? We can send you a proof of the digitized art Via e-mail. Before we start making the towels we need your written authorization faxed back to us, so we can start the job. 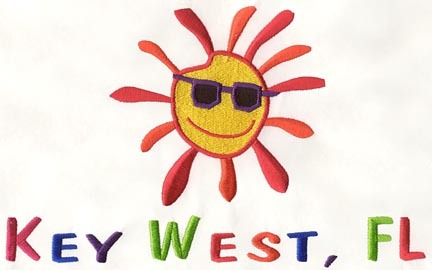 We can also send you the actual embroidery on a Pelon or a towel, you will then have a digitizing fee, set up fee, and the price of the towel or sample charged to you plus shipping. We usually do that on large orders. 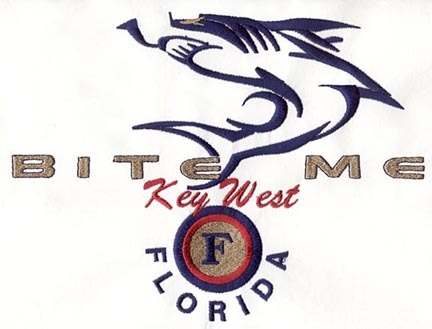 In the last few years we have done many custom embroidery work on towels, caps, and shirts as well. We have done work for FedEx, Proctor and Gamble, The Cleveland Cavaliers, John and Lisa's wedding, Adam's bar Mitzvahs, The Golden Retriever association, Law offices, schools, swim teams, universities, water parks, and many many more. We are trying to show just a little bit of what we have done to give you an idea for your towels. Need Shirts, or Caps to go with your towels? click here. To send us your file with instructions please click here. To send us questions regarding a custom job you might be interested in click here. * To order Samples of our Towels, click here. n. pl. em·broi·der·ies Ornamentation of fabric with needlework.